Watch The 100 Season 2 Episode 15 online via TV Fanatic with over 7 options to watch the The 100 S2E15 full episode. Affiliates with free and paid streaming include Amazon, iTunes, Vudu, Netflix, YouTube Purchase, Google Play, and Verizon On Demand. 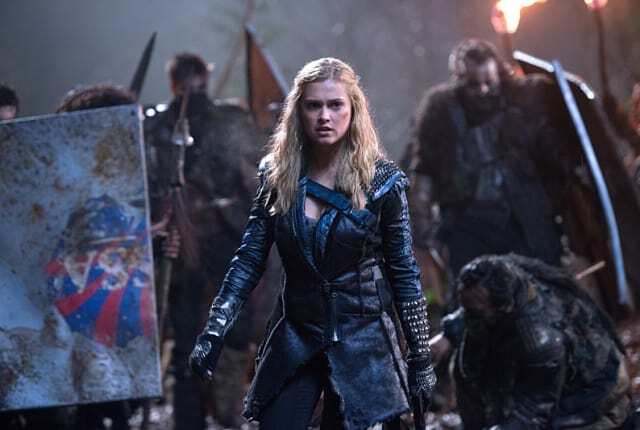 On part one of the two-part season finale of The 100 Season 2 Episode 15, Lexa and Clarke prepare to do battle and Octavia and LIncoln must make a difficult decision. The mountain has cast a shadow over these woods for too long. They've hunted us, controlled us, turned us into monsters. That ends today. Cage: I underestimated the Commander. Is that what you need me to say? Dante: It wasn't the Commander. It was Clarke. Permalink: It wasn't the Commander. It was Clarke.